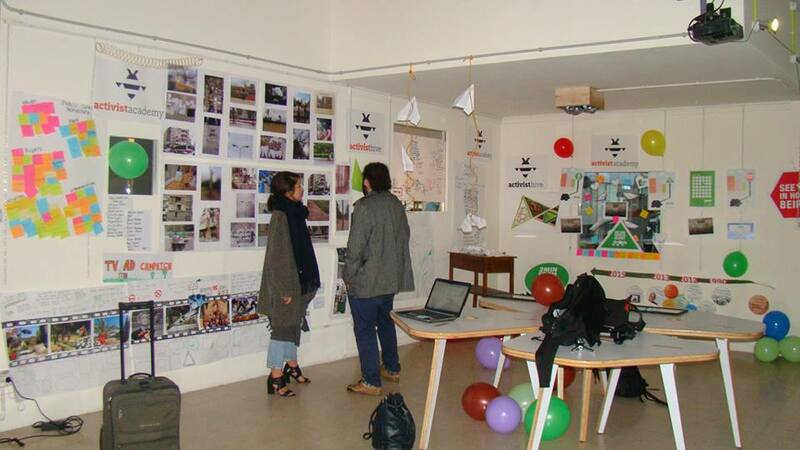 From 9-12 April 2015, we organized an Activist Lab in Beirut, Lebanon. Our Labs focus on a specific social need or issue. In this case, the Lab was focused on public space, and more specifically on the Horsh Beirut park. The municipality is planning to build a stadium on the large green space, which has sparked protests from local activists. We brought together activists from different disciplines and countries to together create concrete strategies and campaigns for the re-opening of Horsh Beirut. The Activist Lab is the educational pillar of the Activist Hive and serves as a capacity-building and networking tool for activists. With the Lab we aim to inspire and improve the work of activists by networking and creating concrete projects. During the Activist Lab we act: we develop direct action. During our meetings we bring together activists from different contexts to interact, network, exchange practices and tactics, and work towards concrete action as a follow-up.